Valentines Day Gifts For Her. | H A Y L V O G E L.
Valentines Day Gifts For Her. It's that time of year again when we're thinking of that little something special to get our other halfs for Valentines Day. 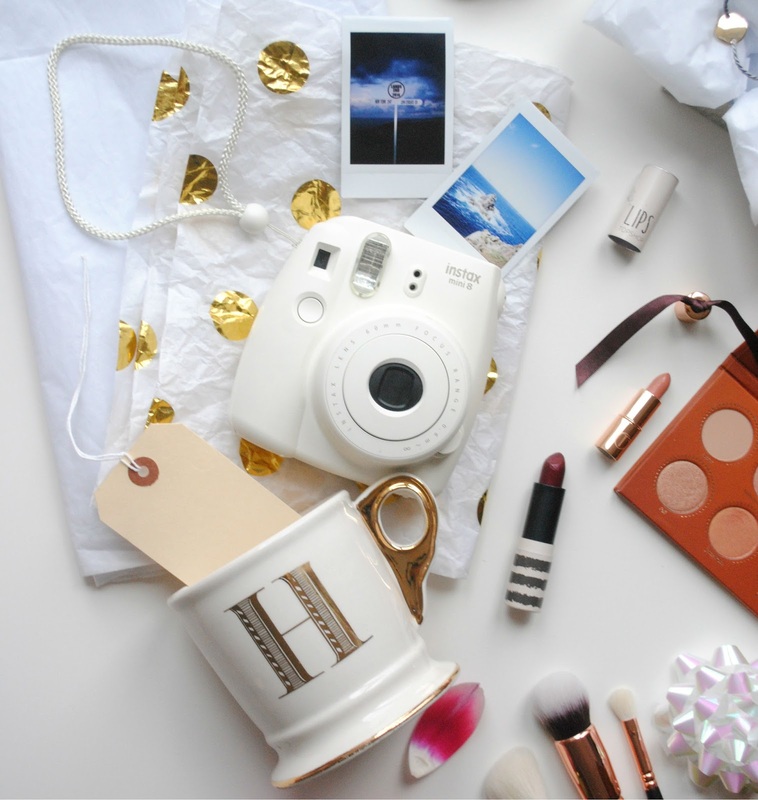 Today I thought I'd do a little gift guide to inspire you ladies out there, who need to point the clueless partners in the right direction (send them over to me girls!) And for the male readers who fancy surprising the lady in your life with a gorgeous Valentines gift. 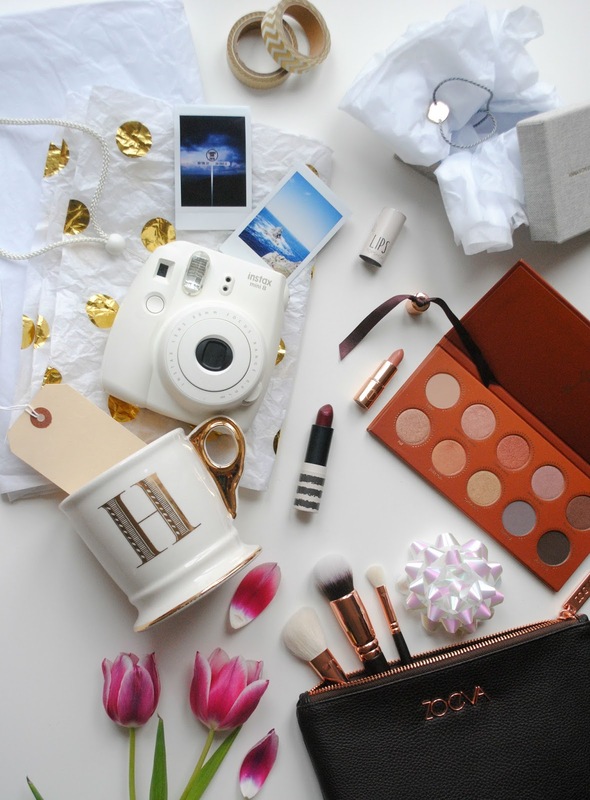 I have to put a little disclaimer in here to say, you don't have to go out and buy all of these products, these are just a few little gifts I'd love to receive myself, and have enjoyed using/having, and want to share with you hoping to give you a little inspiration. Spreading the joy of gift giving throughout the lands! Instax Mini 8 - This is FABULOUS. I absolutely love this little Polaroid camera. It comes in a whole range of different colours too, so if white isn't your thing they have black, pink, yellow and even blue - how lush is that! You can't go wrong with a pink camera. It's perfect for capturing your memories and not having the stress of getting it printed out afterwards because it just pops out of the top and you can watch it develop and keep forever. A photography fanatic's galore! Zoeva Rose Gold makeup brushes - If you've seen my recent post on the most beautiful makeup brushes you've ever seen, you will know how gorgeous this set is. (If you haven't I suggest you take a moment to go and read that so you can see the full beauty.) 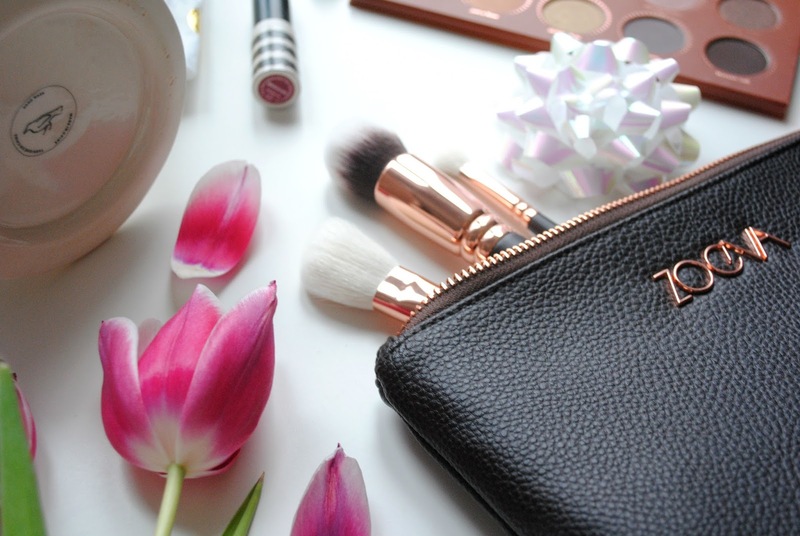 For any makeup crazed fabulous lady you can't go wrong with a new makeup brush set - it will make her day. If you know she/you don't need the whole set you can just buy individual brushes from the website too! Wonderful. Flowers - You can neeever go wrong with a beautiful bunch of flowers. When someone buys me flowers I am happy for days! I absolutely love it. Flowers are for every occasion, or for those random days you feel like giving someone/yourself a little pick me up. They instantly make the room better, smell nicer and are gorgeous to look at. The Perfect Gift. A New Mug - If you're like me and have a slight mug obsession, then this is the perfect gift for you. If you know your other half loves choosing the right cup for the occasion when making themselves a cup of tea, this gift could put you right up there in the good books. This anthropologie mug is beautiful, and I absolutely love using it. It adds a personal touch too because your initial is on the front. Anna Von Bergmann Cord Disc Bracelet - I recently received the most gorgeous handmade cord disc bracelet from the fabulous Anna Von Bergmann and I love it. If you're all caught up with my blog posts you would have seen the review on this gorgeous bracelet. I love the simplicity of it, it's so elegant and pretty and will go with everything. You can have the gold plated disc hand engraved so you can add your own personal touch making the gift all the more special. Zoeva Eye Shadow Palette - Eye Shadow Goals. "The Princess Palette" has every rose gold and neutral shade you could ever need for creating the perfect golden look. It comes gorgeously packaged and is the right size to fit into your makeup bag. Its lush! The eye shadow names give it that extra magical touch. Topshop & Charlotte Tilbury Lipsticks - If you're looking for a little present, I think lipstick is a good place to start. If you know your partner loves all things makeup you can't go wrong with a new lippy. My two favourite places for lipstick at the moment are Topshop and Charlotte Tilbury - both lovely and have a great variety of colours. For the colder winter months I've been using Topshop lipstick in the colour Beguiled. The packaging for both is gorgeous and is sure to make any lady happy. I hope this guide has been helpful and given you the inspiration you needed, it's only 14 days away so let the shopping commence. Let me know if you have any other valentines gift idea's.. Or any winter products you've been loving. If only my boyfriend would read this;) The eyeshadow palette looks amazing and I might have to buy it for myself! I agree, flowers will make every girl happy!! I want Polaroid, it's so cute!